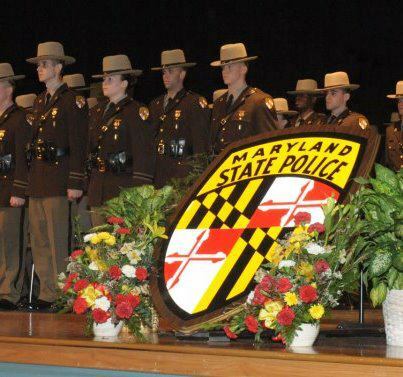 (SYKESVILLE, MD) –Governor Larry Hogan will join Maryland State Police Superintendent, Colonel William Pallozzi as the keynote speaker for the 145th Trooper Candidate Class Graduation tomorrow. The trooper candidates have endured 26 weeks of rigorous training in a residential police academy that demands their very best, at all times. After graduation, each trooper is required to complete eight weeks of additional field training with an experienced trooper before they are able to patrol alone. Families, friends and fellow members of the Maryland State Police and other law enforcement agencies will be present at the graduation ceremony. This class includes 46 trooper candidates. Thirteen are military veterans, three are emergency medical technicians or volunteer firefighters and six are following in the footsteps of family members. As a class, they participated in the Law Enforcement Torch Run for Special Olympics Maryland and the Howard County Police Pace 5K race in Columbia. WHEN: FRIDAY, NOVEMBER 4, 2016 AT 2:00 p.m.